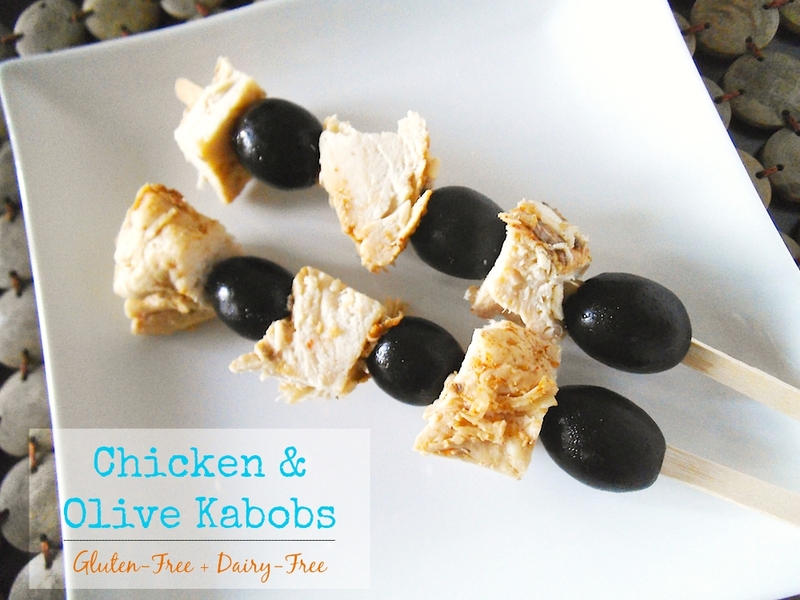 Salty, juicy black olives alternate with protein-rich chicken breast to make kabobs that pack well and change things up for the better. Lunch box boredom, be gone! Do you believe change is a good thing or a hard thing? For me, so much depends on what kind of change we are talking about. A new recipe or meal solution that everybody likes? Count me in. Leaving a community and friends behind for a totally different pace of life? Not so eager to embrace that. In our new town I am now zipping around to soccer, cross-country, commuter train drop-offs and pick-ups, and more. With my husband working further away, I am back to packing school lunches for three kids after a year-long break. Yes, for that laid-back year I was living on easy street. I live on a different street now. And while at least one person in my family says he’d gladly take peanut butter and jelly every day, that is not always practical or desirable. Our previous school was nut free because of allergy concerns. That left me making tuna sandwiches and cheese sandwiches, over and over again. Olives, however, are a welcome change of pace. Also, putting food on a stick just makes it way more fun! * Substitute tofu or cheese for a vegetarian option. 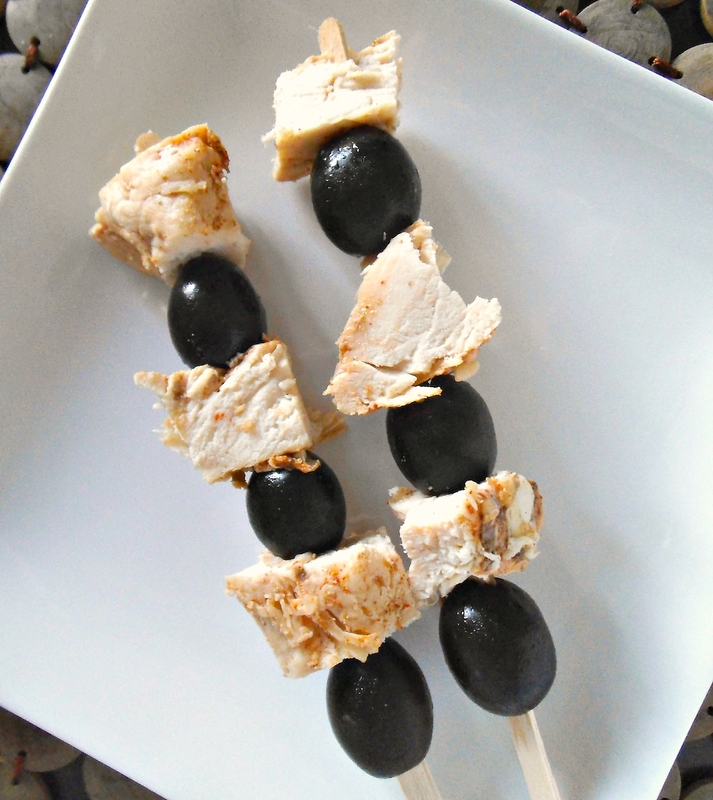 Thread chicken cubes and olives onto stick in an alternating pattern. Place in a plastic bag or sealed container. Keep chilled until ready to eat. I am also sharing this at Savoring Saturdays.